and totally independent consumer campaign. 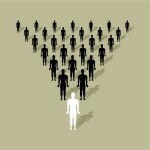 Pyramid Scheme Alert is about ACTION — coordinated, informed, professional, and effective citizen/consumer action. Millions of people have been harmed. Enough! Families and friends have been divided, communities disrupted. Enough! Billions of dollars in savings have been lost. Enough! Misleading product claims, deceptive income promises, lawsuits, protest website — we have seen enough, learned enough, and tried enough on our own. It is time for people to come together to expose and prevent one of the most pervasive frauds and ethical abuses of our times. We invite you to peruse this website, study the articles, laugh at the illustrations, examine the analyses and reports, read the news — and then take the next step. Support PSA.